Stretchable polyester/spandex fabric is wrinkle-resistant. Offered without artwork enables you to create a personalized presentation. 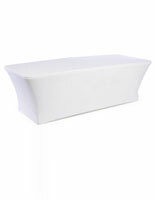 Machine-washable & iron-safe for easy cleaning before an event. 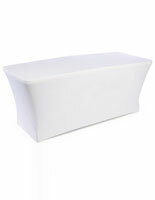 This table cover is the perfect way to dress up your folding tables for any event! 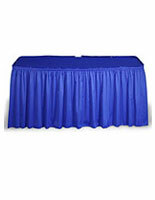 Setup of this tablecloth, is simple & does not require the use of pins or clips to set them up. 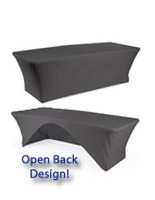 The table cover features sewn-in pockets on the underside, to slip the feet of your table into. This tradeshow tablecloth is made from a polyester/spandex-blended material, & is designed to fit snug to any 6 ft. rectangular table. 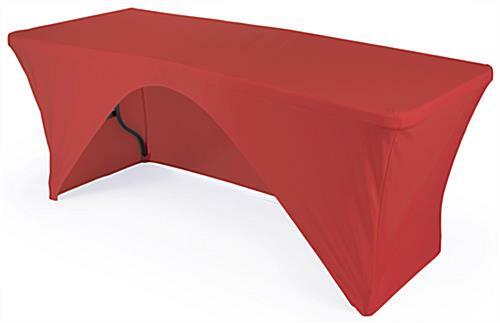 The table cover, like stretch-fit tradeshow linens, is wrinkle-resistant to keep your tabletop display looking attractive with little maintenance. 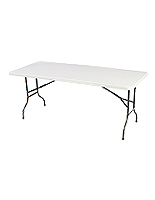 The tablecloth covers three sides of your table, leaving the back open for employees to store boxes underneath, and for staff members to sit behind the table as well. 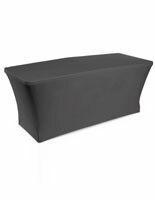 This stretch linen, table cover is ideal for use during banquets, at trade shows, as well as for events at a hotel, exhibition hall or a convention. 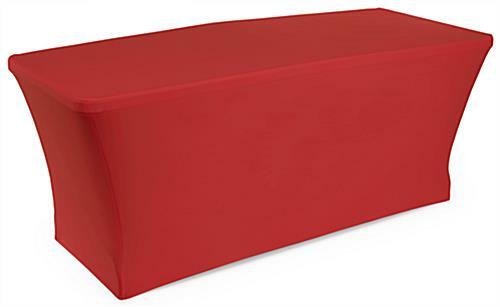 The bright, red color of this contoured covering is sure to draw the attention of attendees & patrons. 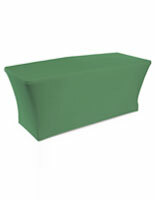 We sell this table cover in 4 other colors as well. 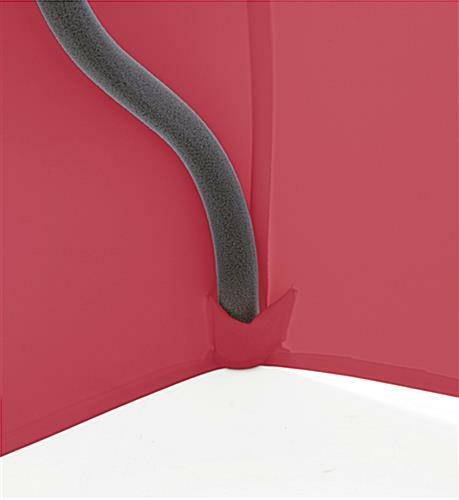 These stretch coverings are sold without graphics, enabling you to create customized presentations. See right hand corner for customize tablecloth. 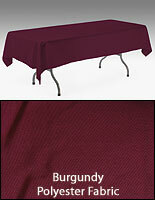 This polyester tablecloth, table cover is available for 8 ft. tables as well. Buy a trade show covering with a stretch-fit design for your next event.